If you are looking for XLR wiring diagrams Click Here. Below are a range of XLR adapters for purchase. Firstly, it is important to replace the fuse with the correct rating fuse, Don’t assume the one that is in the plug already is the correct rating, see this article on choosing the correct fuse. 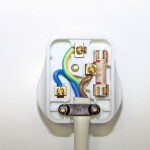 First, remove the top of the plug by undoing the centre screw on the bottom of the plug. You will see the fuse (a small ceramic device with metal caps on each end) inserted next to the live pin of the plug. Using a flat screwdriver, lever the fuse out from the sprung clips that hold it in place. Now insert the correct replacement fuse into the clips. Replace the top of the plug (making sure non of the cables are trapped between the lid and the base of the plag) and tighten the fixing screw to hold the top on. Modern appliances often come with a moulded plug fitted. 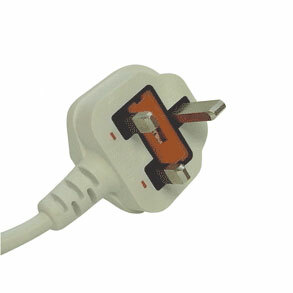 It is not possible to dismantle this kind of plug. You will see a rectangle shaped insert on the underside of the plug, using the two small slots on each side prize out the fuse with a flat head screw driver. Remove the fuse from its carrier, place in a new fuse of the correct rating and push the fuse carrier back into the empty slot. Trailers must be equipped with sidelights, brake lights and indicators. 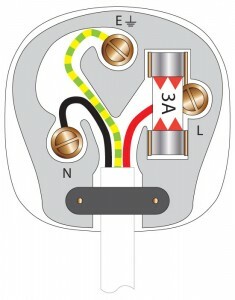 This is done via a type 12N plug which is the most common connection found fitted to the rear of vehicles. The type 12S connector on a towing vehicle is for supplying the supplementary power required by the caravan/trailer reversing lights. On a caravan it is also used for interior lights, battery charger and fridge. Some old appliances may have the old Black, Red and Green cable colours in the flex. As these colours have not been used since 1971 the flex is likely to be very old and you should consider replacing the flex (especially if it is a rubber type flex). The Black wire connects to the terminal marked N or Neutral. The Red wire connects to the terminal marked L or Live. The Green wire connects to the terminal marked E or Earth. 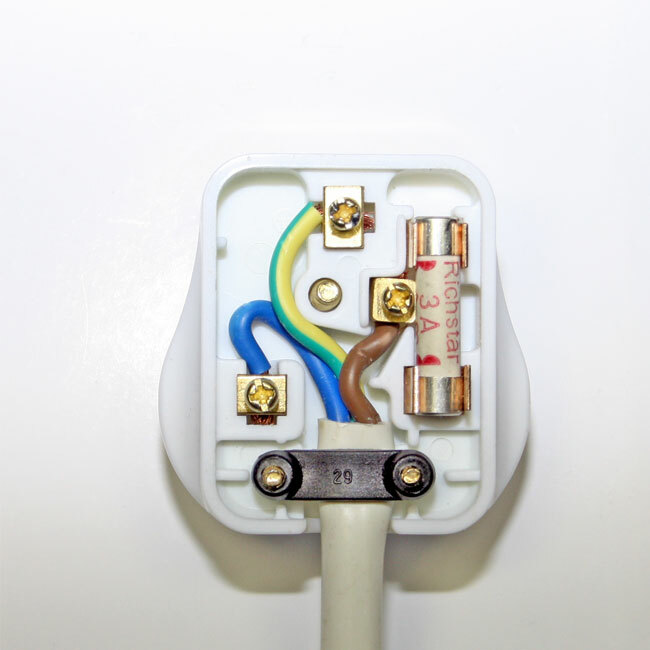 Older appliances are likely to be Class I (with an earth wire), however if they are Class II (or double insulated), there is no connection to the Earth terminal. 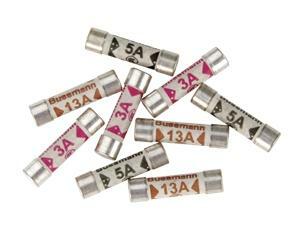 BS 1363 plugs (the common 13amp appliance plug used in the UK) are required to carry a cartridge fuse which must conform to BS 1362. 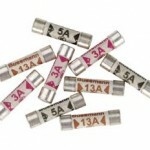 BS 1362 specifies sand-filled ceramic-bodied cylindrical fuses, 1″ (25.4 mm) in length, with two metallic end caps of 1/4″ (6.3 mm) diameter and roughly 1/5″ long. For appliances up to 700W a 3A fuse should be used. For appliances over 700W a 13A fuse should be used. For appliances up to 700W a 3A should be used. For those between 700W and 1200W a 5A fuse should be used. For appliances over 1200W a 13A fuse should be used. Modern electrical appliances will have a sticker or plate showing the maximum power consumption in WATTS (W).